Alabama Crimson Tide head coach Nick Saban has reportedly apologized to ESPN sideline reporter Maria Taylor for his recent outburst after Taylor asked about Tua Tagovailoa starting ahead of Jalen Hurts at quarterback in Saturday's 51-14 win over Louisville. Taylor led off the postgame interview with a question about the quarterback decision. Alabama kept the decision secret until kickoff. "What answers did you find about your quarterbacks?" 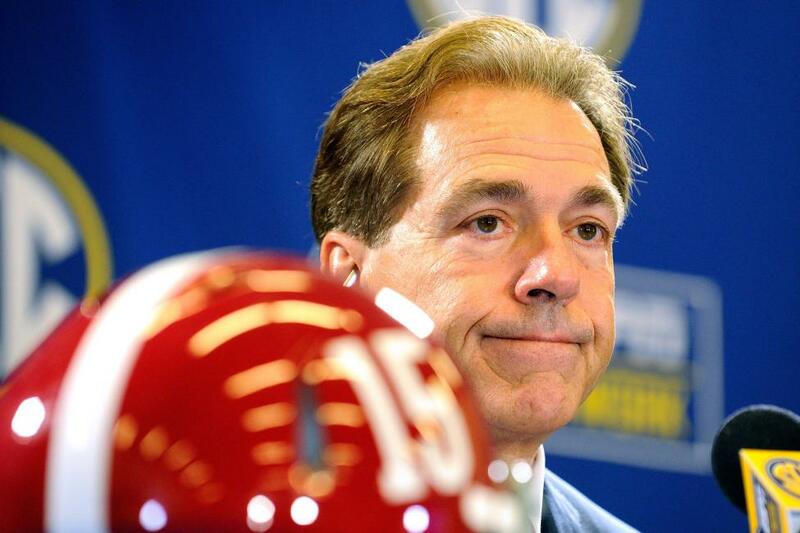 Taylor asked Saban. "I still like both guys, I think both guys are good players. I think both guys can help our team," a terse Saban said. "So why do you continually try to say something that doesn't respect one of them. I'm not going to, so quit asking." Tagovailoa completed 12 of 16 passes for 227 yards with two touchdowns. He also ran for a touchdown. Hurts completed 5 of 9 passes for 70 yards and rushed three times for nine yards. According to author James Miller, who produced a recent podcast detailing Saban's rise in coaching, Saban called Taylor on Saturday night to apologize.